In 1857, Tom Wills, one of the founders of Australian Football, returned to Australia after schooling in England where he was football captain of Rugby School and a brilliant cricketer. Initially, he advocated the winter game of football as a way of keeping cricketers fit during off-season. The new game was devised by Wills, his cousin H.C.A. Harrison, W.J. Hammersley and J.B. Thompson. The Melbourne Football Club was formed on August 7, 1858 – the year of the code’s first recorded match between Scotch College and Melbourne Grammar School. The game quickly blossomed. The Geelong Football Club was formed in 1859 and in 1866 an updated set of rules was put in place and competition started. The Victorian Football League was established in 1896 and the following year the League’s first games were played among the foundation clubs – Carlton, Collingwood, Essendon, Fitzroy, Geelong, Melbourne, St Kilda and South Melbourne. 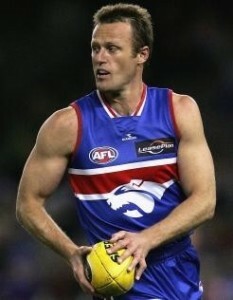 Additional clubs Hawthorn, Footscray (Western Bulldogs), Richmond and North Melbourne would grow the competition to 12 and would remain unchanged until 1987 when the competition expanded Nationally to include the West Coast Eagles and the Brisbane Bears, South Melbourne merged to become the Sydney Swans. 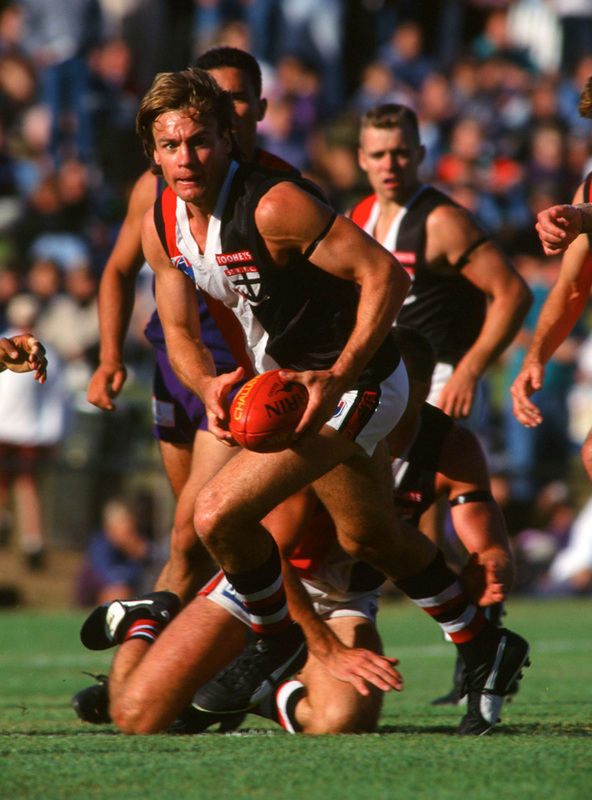 By 1997, the competition comprised 16 clubs after Adelaide (in 1991), Fremantle (in 1995), and Port Adelaide (in 1997) joined the now Australian Football League and foundation club Fitzroy merged with the Brisbane Bears to form the Brisbane Lions (after the 1996 season). In 2011 the Gold Coast Suns joined the competition, followed by the Greater Western Sydney Giants, creating the 18-team national competition. The AFL season culminates in a Grand Final where the team wins the Premiership Cup and the Competition Flag. Individual honours such as Best & Fairest are awarded by each Club, the competitions Best & Fairest is a prestigious award known as the Brownlow Medal, Leading Goalkicker wins the Coleman Medal, Best & Fairest on Grand Final Day wins the Norm Smith Medal and a competition team is selected as best in position known as the All Australian selection. 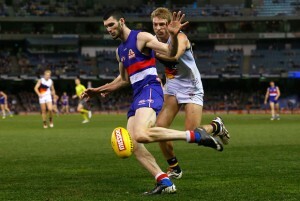 AFL players are selected annually in a hybrid game of International Rules -V- Ireland, and is the only opportunity for AFL players to represent their country. A Hall of Fame exists that recognises players/officals of the elite level across the history of the code. Early records of the sport being played in Australia date as far back as the 1830s. A variant of the sport (written as “football”) was played in 1832 between “a large batch of youngsters (who) were eagerly engaged in playing at football, on Hyde Park”, in Sydney. Another variant of the sport took place at Wacol, on 7 August 1875, when a team played against the visiting Brisbane Australian rules football club; the rules of the match which clearly stated that the “ball should not be handled nor carried” was a direct reference to British Association Rules. A match was also recorded to be played in Hobart on 10 May 1879. The first recorded match played under the Laws of the Game was contested between Wanderers and members of the Kings School rugby team at Parramatta Common on 14 August 1880. The Wanderers, considered the first soccer club in Australia, was established on 3 August 1880, by English-emigree John Walter Fletcher. Later, in 1882, Fletcher formed the New South Wales English Football Association (also referred to as the South British Football Soccer Association), the very first administrative governing body of soccer within Australia and one of the first to be established outside the United Kingdom. In 1883, Balgownie Rangers, the oldest existing club in Australia was founded; the club currently competes in the Illawarra regional league. Later that year, the first inter-colonial game was played at the East Melbourne Cricket Ground, between a representative Victorian team and one from the neighbouring colony of New South Wales. As soccer continued to grow throughout Australia, associations across the country were established with local and state competitions followed. It was not until 1911 that a governing body was formed to oversee football activities in the whole of Australia. The first such organisation was called the Commonwealth Football Association. However, this body was superseded by the Australian Soccer Association, which was formed in 1921. On 17 June 1922, the first Australian national representative football team was constituted by the Australian Soccer Association to represent Australia for a tour of New Zealand. During the tour the Australia men’s national team lost two out of the three matches against the newly formed New Zealand side. Soccer struggled to gain popularity within the wider Australian society but with British and Southern Europeans settlers it was immensely popular and this led to establishing soccer as a major sport in the country. However, it took soccer a large number of years to finally expand its scope across the continent, with the sport only enjoying large scales of popularity from 1950s. Soccer boomed in the immediate post-Second World War period when the sport became more commercial and professional. A distinct rise in popularity in New South Wales and Victoria, among other states, was linked to the post-war immigration. Migrant players and supporters were prominent, providing the sport with a new but distinct profile. Soccer served as a cultural gateway for many emigrants, acting as a social lubricant. Soccer transcended cultural and language barriers in communities which bridged the gap between minority communities and other classes within the country, thus bringing about a unique unity. The most prominent soccer clubs in Australia during 1950s and 1960s were based around migrant-ethnic groups, all of which expanded rapidly at that time: Croatian, Greek, Italian and Serbian communities gave rise to most of the largest clubs, the most notable being South Melbourne (Greek-based), Sydney Olympic (Greek-based), Marconi Stallions (Italian-based), Adelaide City (Italian-based) and Melbourne Knights (Croatian-based). Although soccer reached notable popularity among Australian people during the second half of the twentieth century, the sport struggled to break from its ethnic-base to the wider Australian community. In the mid 1990s, Soccer Australia (the governing body for the sport) attempted to shift soccer into the Australian mainstream and away from direct club-level association with migrant roots. Many clubs across the country were required to change their names and badges to represent a more inclusive community. Australia qualified for it’s first Soccer World Cup in 1974. Australia ended a 32-year absent streak when the national team qualified for the 2006 FIFA World Cup. The teams qualification and success in the tournament helped increased the profile and popularity of the sport in the country. The national team qualified for a consecutive FIFA World Cup in 2010 and placed second in the 2011 AFC Asian Cup. The A-League competition is now the National league and has seen a rise in interest for the league within Australia. Rugby league began in 1895, as the ‘Northern Union’, when clubs in the North of England broke away from the RFU. The clubs wanted to compensate their working-class players for time away from work for rugby tours and injuries. The RFU refused, saying ‘if men couldn’t afford to play, then they shouldn’t play at all’. 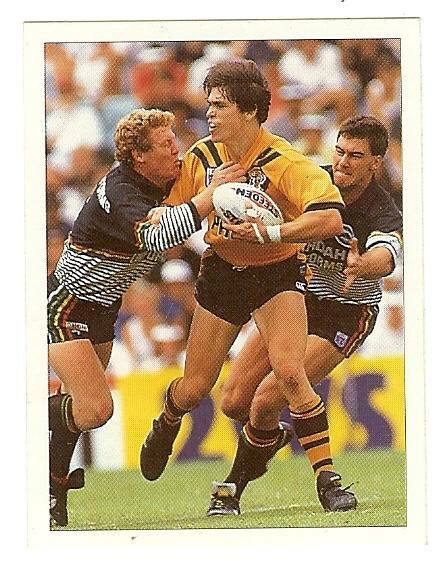 In the decade that followed, rugby league made changes setting itself apart from rugby union. Teams were reduced from 15 to 13 players (two forwards were eliminated), and the play-the-ball was introduced to lessen the need for scrums and to replace rugby union’s scrappy rucks and mauls (where the ball often disappeared from view for minutes on end). The changes made League the far more popular code in England amongst spectators and players alike. The increased gate-money allowed the rugby league clubs to pay benefits to the footballers the crowds had come to watch and support. Meanwhile in Australia (NSW & Qld) and New Zealand, rugby was controlled by the rugby union bodies affiliated to the English RFU. They all enforced the rules of amateurism upon their footballers. The predominantly working-class rugby footballers and supporters in Sydney and Brisbane were disheartened by the attitude of the rugby union authorities – and seemed likely to turn to Australian rules. However, for a short time rugby union rode a new wave of popularity – brought about by the arrival of Dally Messenger in 1906. With his individual brilliance, vast crowds flocked to his matches, filling the financial coffers of rugby union. The son of a professional rower and friend of high-paid Test cricketer Victor Trumper and entreprenuer James J. Giltinan, Messenger had secretly agreed to join the professional rugby league (the NSWRL) being formed in Sydney. Messenger’s allegiance was secured for £50 and the promise of a place in the New Zealand ‘All Golds’ rugby league team bound for England. The Kiwis arrived in Sydney in August 1907, playing three professional matches (using rugby union rules) against a NSWRL team led by Messenger. The formation of rugby league, and Messenger’s decision to join, prevented Australian rules from gaining hold of Sydney’s vast working-class population and swamping rugby union. With Messenger in their ranks in 1908, the NSWRL and QRL began to build club competitions that were able to provide injury benefits and financial rewards for working-class footballers. 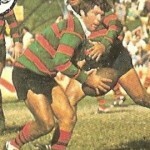 The spectator appeal of rugby league ensured it attracted large crowds and gate-takings, with Easts, Souths, Balmain, Wests, Newtown, Newcastle, Norths, Glebe and Cumberland the original NSWRL premiership clubs. At the end of the 1908 season both the first Kangaroos (League) and Wallabies (Union) toured Great Britain. The Wallabies were accused of being professionals by many in Britain. This attitude took hold of the IRB, who then announced the already poor allowances to rugby union players were to be further reduced. As a result, shortly after their return to Australia in 1909, more than half the Wallabies accepted contract offers to join rugby league. The following season saw a visit to NSW, Queensland and New Zealand by the first ever ‘British Lions’ rugby league team. Attracting huge crowds wherever they played, the League authorities were able to build a solid financial base, securing their permanency, and becoming the preferred football code in Sydney, Brisbane and Newcastle, and establishing a hold in Auckland and Wellington (New Zealand). 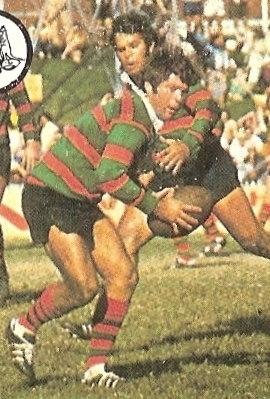 From 1910 onwards, rugby league has held place as the premier winter sport of NSW and Queensland, and maintained a strong following in New Zealand. The NSWRL club competition evolved into a national competition in the 1990s, and became the National Rugby League in 1998. The NRL competition spans the traditional League areas of NSW, Queensland and New Zealand, as well as Victoria (following the introduction of the Melbourne Storm). 2008 marked the code’s centenary as a professional sport in Australia and New Zealand. Rugby League is played Internationally however the strongest competition being the annual three match State of Origin matches between New South Wales and Queensland and at the National Rugby League level. WEBB ELLIS Trophy (World Cup), Bledisloe Cup (New Zealand) Mandella Plate (South Africa) Tri/Four Nations (NZ, South Africa, Argentina), British Lions (England, Scotland, Ireland, Wales) are the jewels in Australian Rugby. Other perpetual trophies exist for competition between individual countries the Bledisloe being the most sought after because of the rich and significant rivalry with New Zealand. 1823 – During a game of football at Rugby School in England, legend has it that 16 year old student William Webb Ellis, caught the ball and ran with it towards the opponent’s goal line, rather than following the rules of the times of catching and kicking the ball only. Thus the game of Rugby was born. 1829 – “The Sydney Monitor” of 25th July reports a game of football at the soldiers Barracks (modern day Barrack St in Sydney). 1864 – The first Australian rugby football club was established at Sydney University. 1871 – The first international match, between England and Scotland was played. Twenty players a side, 13 forwards, 3 half backs, 1 three quarter and three fullbacks. 1874 – The Southern Rugby Union – later changed to New South Wales Rugby Union – is formed at a meeting at the Oxford Hotel in Sydney. 1877 – Player numbers in international matches reduced from 20 to 15. 1882 – The first inter Colonial match is played between New South Wales and Queensland. New South Wales won 28-4. 1883 – The Northern Rugby Union (NRU) was formed to administer the game in Queensland. The Southern Rugby Union (NSW) tours New Zealand becoming the first team in the world to tour overseas. 1884 – The first New Zealand representative team visits Australia and wins all nine matches on tour. 1888 – Club rugby is formally organized in Victoria and the Melbourne Rugby Union formed (MRU) against strong opposition from Australian Rules. 1899 – Australia plays their first Test match – against the touring side from Great Britain. In a four Test series played in Sydney and Brisbane, Australia won the first Test 13-3 at the Sydney Cricket Ground on 24th June. 1903 – The first Test Match between Australia and NZ is played at the Sydney Cricket Ground on 15th August, won by NZ, 22-3. This tour greatly increased the popularity of rugby and large crowds started attending grade matches in Sydney and Brisbane. 1908/9 – The first Wallabies tour the United Kingdom and America, winning 32 of the 38 matches played. While in England, they competed in the 1908 London Olympics of 1908, winning the gold medal for Rugby Union. 1914 – 1918 – Due to the numbers of players enlisting in WWI, Australian senior rugby went into recess. Sadly, many prominent players and Wallabies were lost. These losses and the continued impact of Rugby League, greatly affected the strength of the code. Restarting the game in 1919 in New South Wales proved difficult, but even more so in Victoria and Queensland, which were unable to regroup until 1926 and 1929 respectively. 1921 – South Africa visits Australia and New Zealand for the first time winning all three Tests in Australia. 1923 – The Shute Memorial Shield named in honour of R E Shute was presented by the Sydney University Club, for the Sydney First Grade competition. 1927/28 – The NSW Waratahs tour the United Kingdom, France and North America, winning 24 and drawing two of their 31 official matches. They won three of their five internationals and averaged close to four tries per match. This team is credited with introducing running rugby into the Australian game. As the Waratahs were the only Australian representatives in the 1920s, all internationals played by them have been accorded retrospective Wallaby status. 1928/9 – The Queensland Rugby Union resumes operations and its re-emergence immediately makes a forceful impact on the performances of the Australian team, which defeated New Zealand in all 3 Tests for the first time. 1929 – Australian Rugby Union adopts green and gold as its official colours. The Australian jersey is green with the Australian Coat of Arms. 1930 – The British Lions tour Australia. 1931 – The Bledisloe Cup was presented by the then Governor General of New Zealand, Lord Bledisloe, for competition between New Zealand and Australia. The inaugural competition was won by New Zealand two games to one. 1933 – The Wallabies make their first tour to South Africa for a four test series, won by South Africa three to one. 1934 – Australia win the Bledisloe Cup for the first time. 1939 – The tour of the 1939 Wallabies is cancelled when war is declared the day after the team arrive in England. After two weeks in England, the team returns home. 1939 -1945 -Rugby administrators elect to continue the local club competition throughout the period of hostilities of WWII. 1946 – After eight years, the first Test to mark the end of WWII is played between Australia and New Zealand. 1947/48 – The Wallabies tour the United Kingdom and North America. In the four tests against the Home Unions the Australian line was never crossed. 1948 – Australia is invited to join the International Rugby Football Board. This invitation gives impetus to the formation of an Australian Rugby Union combining all State Unions. 1949 – The inaugural meeting of the Australian Rugby Football Union is held on 25th November with eleven delegates from the six States. The Australian Capital Territory became a member in 1972 and the Northern Territory an associate member in 1978. – Australia records its first Bledisloe Cup win on New Zealand soil. 1961 – To avoid confusion with the Springbok jersey, the Australian jersey is changed from green to gold for the 1961 Wallaby tour to South Africa. It has remained predominantly gold ever since. 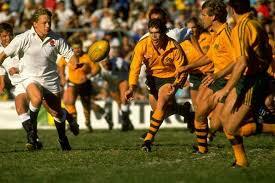 1987 – The inaugural Rugby World Cup was played in Australia and New Zealand. It was won by New Zealand who became the first country to retain the William Web Ellis Trophy. 1995 – International Rugby Union becomes professional at all levels. – The Southern Hemisphere rugby countries of South Africa, New Zealand and Australia form SANZAR (South African, New Zealand and Australian Rugby) to administer an annual provincial Super 12 competition and Tri-Nations tests series between the three countries. 1996 – The Super 12 and Tri Nations competitions begin. The Super 12 competition is made up of five teams from New Zealand, four from South Africa and three from Australia. 1997 – The Bledisloe Cup is played at the Melbourne Cricket Ground – the first international rugby game played at the MCG – and draws a crowd of 83,000. 1998 – Australia wins the Bledisloe Cup in its first clean sweep in a three test series since the competition started in 1931. 2000 – Australia win every international rugby trophy contested. 2001 – Australia wins its first series ever against the British and Irish Lions. 2003 – Australia hosts the 2003 Rugby World Cup. England win the Cup, playing Australia in the Final at Telstra Stadium, Sydney. 2006 – The Super 12 competition expands into Super 14 with the addition of the Western Force (Perth) and the Cheetahs from South Africa. James Grant in 1998 Wallaby number #667 played 5 Tests for Australia and 15 games for the NSW Waratahs. He also had a successful Rugby League career.